Dr. Ruth K. Oniang’o is the winner of the Africa Food Prize 2017. She is the Founder and Executive Director of Rural Outreach Africa. 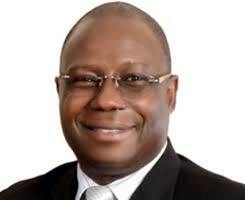 Dr. Oniang’o is the Founder and Editor-In-Chief of the African Journal of Food, Agriculture, Nutrition and Development. She was a nominated member of Kenya’s ninth parliament from 2003 to 2007 and served as Shadow Minister for Education. She is an Adjunct Professor of Nutrition at Tufts University in Boston. Before becoming a Member of the Kenyan Parliament, she was a Professor of food science and nutrition at the Jomo Kenyatta University of Agriculture & Technology in Nairobi, Kenya. Her areas of research and consultation are household food and nutrition security, women’s nutrition, child health and community-level agro-processing and related enterprises. She has been a Non-Executive Director of Nestlé S.A. since 2015. She serves as a Member of Advisory Committee on Agricultural Innovation and Productivity at E. I. du Pont de Nemours and Company. Mary Wairimu Kamau holds a Post graduate Diploma in Tropical Sericulture from India combined with a BSc in Agriculture from the University of Nairobi. She is the Chairperson of AFAAS, member of the Global Forum for Rural Advisory Services (GFRAS), member of and Vice Chairperson of Access Agriculture and member of the Kenyan Forum for Agriculture Advisory Services (KEFAAS). She is an awardee and granted the Order of the Grand Warrior of Kenya (OGW) in 2011 for the distinguished service rendered to the Nation. 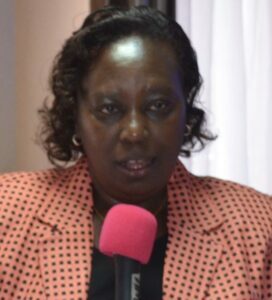 She retired from the Ministry of Agriculture, livestock and Fisheries in June 2016 that she joined in July 1980 as an agricultural Officer in-charge of Crop Department in Kitui district. She was appointed Director of Agricultural Extension and Training in 2007. From this position, she introduced demand driven, market oriented extension, Agribusiness, E-extension and farm. She played a critical role in drafting the National Agricultural Extension Policy (NASEP) enacted by the President in 2012 to harmonize Extension and embrace pluralism in extension Provision and the National Agriculture Research System (NARS) to harmonize agricultural research. Kristin Davis has a PhD in international agricultural extension with a minor in farming systems from the University of Florida. 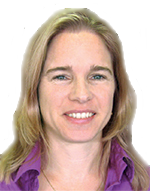 In 2004 she started work as a researcher with the International Food Policy Research Institute (IFPRI). Her work with IFPRI involves research and capacity strengthening on agricultural extension and other development issues with a focus on Sub-Saharan Africa. From 2010-2016 she was seconded to the Global Forum for Rural Advisory Services (GFRAS) as Executive Secretary, where her work involved providing advocacy for advisory services within global policy dialogues; supporting evidence-based approaches and policies for improving the effectiveness of advisory services; and strengthening advisory services through facilitating interaction and networking. She works as Project Director for the USAID-funded project Developing Local Extension Capacity (DLEC). Silim Nahdy is the AFAAS Executive Director. 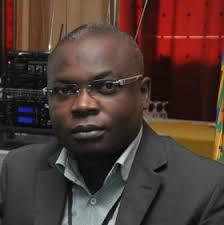 He has a PhD in Agriculture from The University of Reading, UK. He led the team that designed the National Agricultural Advisory Services (NAADS) of Uganda which he subsequently led as the Executive Director for a period of 10 years. Prior to taking up the NAADS post he was the Director of Kawanda Agricultural Research Institute. Dr Nahdy was the inaugural Chairman of the Governing Board of the Sub-Saharan African Network of Agricultural Advisory Services (SSANAAS) in 2004 and continued to serve as Chairman through its transformation into AFAAS in 2006. 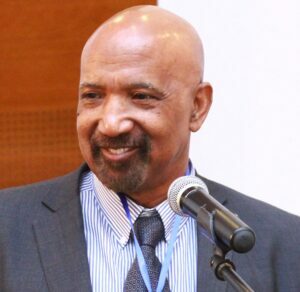 Dr Silim Nahdy is currently a Steering Committee member (from 2009 to Present) and former Chairman (until 2011) of the Global Forum for Rural Advisory Services (GFRAS). His key expertise, skills and experience are the following: Providing leadership and contributing to an evolving agricultural advisory systems in Africa and globally based on lessons and good practices. Implementing Collaborative initiatives, partnerships and linkages with National, Continental and International Institutions and Programmes, and with Private Sector, NGOs, and the Donor community for Rural Development focusing on Extension Agricultural Advisory Services. Playing advocacy role for Rural Development focusing on Extension Agricultural Advisory Services. Dr. Yemi Akinbamijo is the Executive Director of FARA and Dr. Akinbamijo, a Nigerian national, has spent the past 28 years of his career in Africa and Europe working in the International Agriculture, food security and Rural Development domain. Prior to his appointment as Executive Director of FARA, he was the Head of Division of the Agriculture and Food Security Division at the African Union Commission Headquarters in Addis Ababa, Ethiopia. Before then, he served as the Director of the AU Inter-African Phytosanitary Council based in Yaoundé Cameroon. Dr. Akinbamijo has published several scientific papers and articles and had served in several international panels including Chair of the West African Livestock Innovation Centre (WALIC –former International Trypanotolerance Center; Continental Working Group on Sanitary and Phytosanitary Issues; Africa-EU Joint Expert Group; Africa-Brazil on Agriculture and Food Security; Africa-Arab Joint Action on Food Security and Agriculture; Steering Committee on African Growth and Development and a host of others. He holds a PhD in Agriculture and Environmental Sciences with specialization on Tropical Animal production from Wageningen University Research Centre, The Netherlands. Margaret Najjingo Mangheni hold a Bsc (Agriculture) from Makerere University, MSc (Agricultural Education) from The Ohio State University (USA), and PhD (Agricultural extension) from the University of Minnesota (USA). She is currently an Associate Professor in the Department of Extension and Innovation Studies at Makerere University in Uganda. Her areas of expertise and research interest include agricultural extension systems and approaches; Curriculum development, extension and training methods; Gender and agricultural development. She has served in various administrative/leadership positions at Makerere, including Department head, Coordinator of the Continuing Agricultural Education Centre, Deputy Dean for Research and Post graduate Training, and Vice Chairperson, Makerere University Academic Staff Association. She is a leader in the field of agricultural extension at global, continental and national levels. 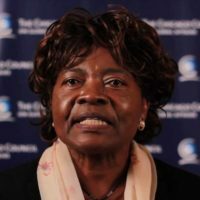 She is founder member of the African Forum for Agricultural Advisory Services (AFAAS); founder member and former Chairperson of the Uganda Forum for Agricultural Advisory Services (UFAAS). 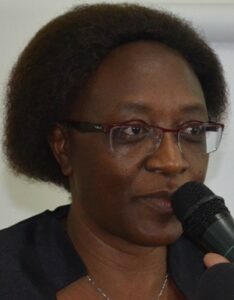 She has over 20 years of experience supporting gender sensitive agricultural development processes in Uganda and Africa as a whole in a broad range of areas including initiation of professional networks; development and management of projects; offering consultancy services for design and evaluation of agricultural extension approaches and development projects. Dr Djamen holds a Ph.D. and MSc. from AgroParisTech (Paris, France) in agriculture and sustainable development. Dr Djamen was the Chief Executive Officer (CEO) of the Service d’Appui au Développement Local (SADEL-GIE), an Agricultural Research and Rural Development Consulting firm in Cameroon. Dr Djamen served on a long term as Coordinator of the West and Central Africa Office of African Conservation Tillage Network (ACT), ensuring administrative management of the Branch and providing leadership in the establishment and running of conservation agriculture innovation platforms on in several countries. Dr Djamen co-founded and is leading the West and Central Africa Network of Agricultural and Rural Advisory Services (RESCAR-AOC) aimed at efficient mobilization of agricultural extension for sustainable development in West and Central Africa. Additionally, Dr Djamen is an international consultant providing expertise on: sustainable land management, seed industry, agricultural extension, project management, strategic planning. Currently, as Facilitator of the National Learning Alliance on Sustainable Agricultural Intensification hosted by the IUCN, Dr Djamen is leading multi-stakeholders learning, innovation and knowledge management processes in Burkina Faso. Dr Djamen is engaged in the steering of regional agricultural development programmes in West Africa and, international organisations including AFAAS and GFRAS working towards more effective agricultural innovation systems.